CloudFormation is the core functionality provided by Amazon Web Services in the area of expressing infrastructure as code. One can write the infrastructure design in either JSON and YAML (with similar syntax keywords); there is also a template designer that may help in putting together the infrastructure elements and their dependencies. The particular details of each resource being defined must be coded out, though. There are no limitations on the types of resources that can be brought up, as far as I noticed – each resource type provided by Amazon can be coded and subsequently created and provisioned. One can also define an explicit order (e.g. some resource to be created before another), apart from the implicit order that can be deduced (e.g. if an EC2 instance is defined with a IAM Role, the role is always created before the instance). The revert process is also clean: deleting the CloudFormation stack does delete everything created by the stack itself; nothing gets left behind. Note: This is a text about the project work at one of my previous employments. Infrequent releases (e.g. every year or even every other year or so); releases were thoroughly prepared and tested, with code freezes for (sometimes) months before the Day. Note: you can find my comments here for the similar event held in 2015. 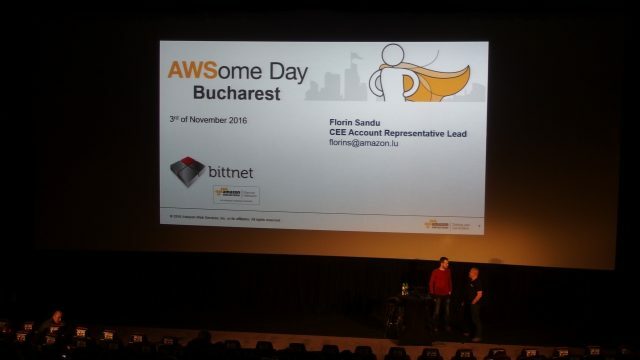 Another year, another AWS event; for this year they have changed the venue and brought in more speakers, unfortunately of inferior quality compared to Sebastien Stormacq, the sole speaker from 2015. This year twice as many people registered, roughly 500 people queuing up for the early morning registration.